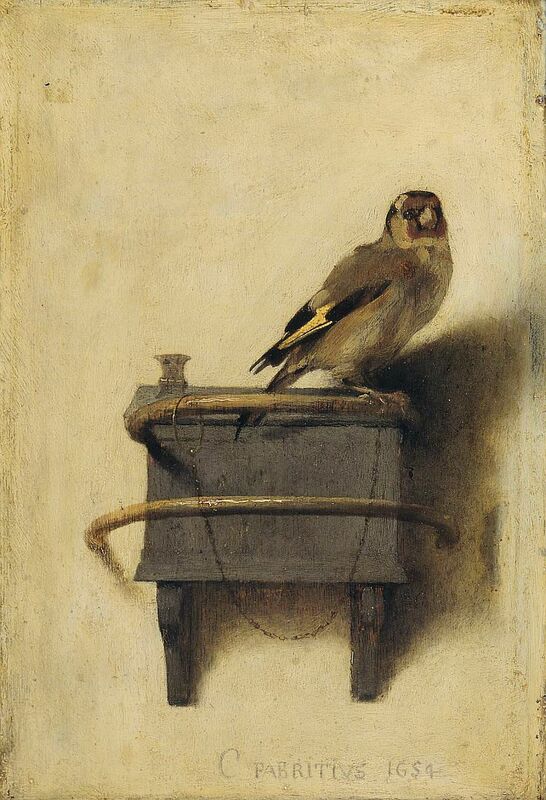 Yesterday I wrote about the connection between Donna Tartt’s new novel and the 1654 painting by Carel Fabritius, The Goldfinch. That set me thinking about why Fabritius had chosen the bird as a subject for a painting, so I thought I’d consult the book I received as a birthday present recently: Birds and People by Mark Cocker. What I found there proved to be fascinating. In a sense, Carel Fabritius was following a well-established tradition of the late Middle Ages and Renaissance of featuring a goldfinch in paintings, especially images of the Madonna and holy child. What mattered for these artists was not the accuracy of natural history but the bird’s symbolic or allegorical meaning. Cocker reckons that close on 500 paintings in this period included the goldfinch motif. In the case of the Madonna images, the bird often occupied a central place in the composition, perched on Mary’s fingers or nestled in Christ’s hands. ‘Virgin and Child’, Florence, 14th century. So what was it about the goldfinch that warranted its inclusion in hundreds of paintings? The answer lies in the bird’s plumage and lifestyle, which had produced in the medieval mind powerful symbolic associations. Cocker quotes the scholar Herbert Friedmann who wrote in The Symbolic Goldfinch (1946) of the ‘ceaseless sweep of allegory through men’s minds. They felt and thought and dreamed in allegories’. 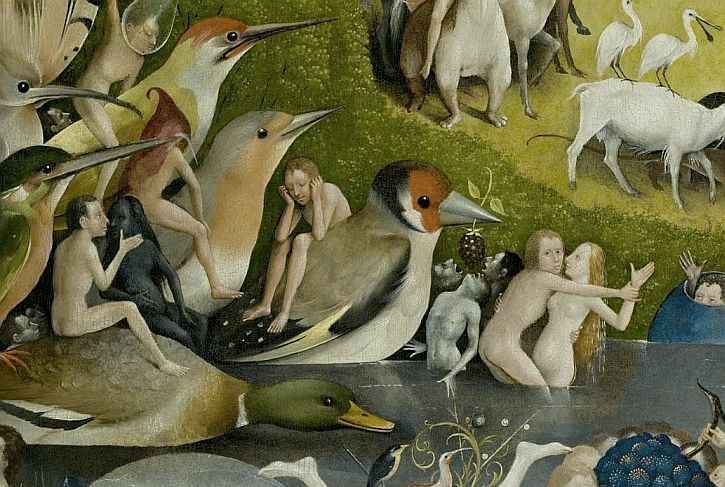 Detail from ‘The Garden of Earthly Delights’ by Hieronymous Bosch, c1510: rampant allegory featuring an outsize goldfinch. What did the individual feel, then, when they saw an image of a goldfinch? First, there was the bar of gold across the bird’s wings, a colour which, since the ancient Greeks, had been associated with the ability to cure sickness. Then there was the splash of red on the cheeks: as with the robin’s red breast this was a sign to medieval Christians that the bird had acquired blood-coloured feathers while attempting to remove the crown of thorns from while Christ was being crucified. Finally, not only did thistles have a symbolic association with the crucifixion: thistle seeds are the staple food of the European goldfinch, and thistles were themselves regarded as curative (long credited, for example, as a medicinal ingredient to combat the plague). Through its association with thistles, the goldfinch came to be seen as a good-luck charm, ‘warding off contagion and bestowing symbolic health both upon those who viewed it and upon the person who owned it’. Thus the goldfinch came to be a symbol of endurance and, in the case of paintings of the Madonna and child this symbolism was transferred to the Christ child, an allegory of the salvation Christ would bring through his sacrifice. 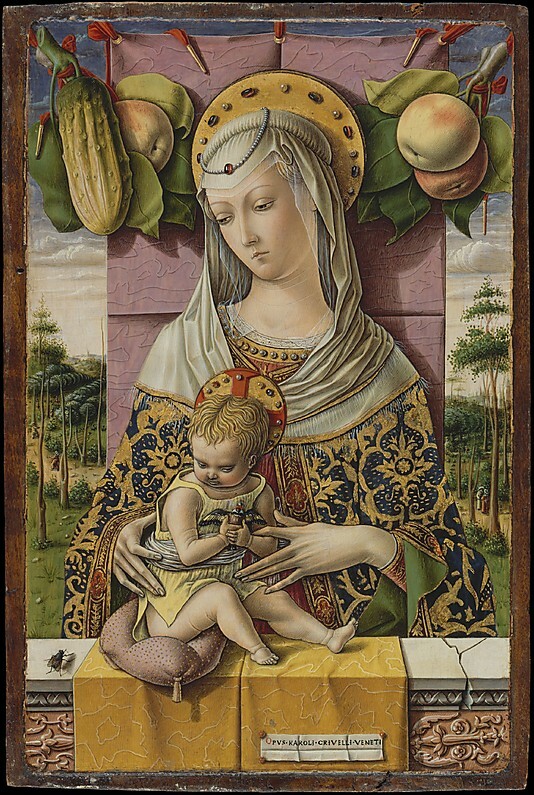 In the Venetian artist Carlo Crivelli’s Madonna and Child, apples and a phallic and misshapen cucumber symbolise sin and a fly evil; they are opposed to the goldfinch, symbol of redemption from the belief that when Christ was crucified, a goldfinch perched on his head and began to extract thorns from the crown that soldiers had placed there. 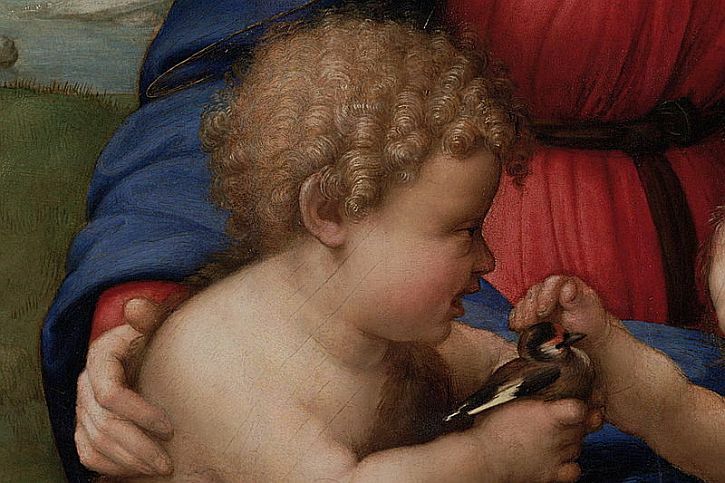 Detail from Raphael’s ‘Madonna del Cardellino’ (‘Madonna of the Goldfinch’). In Birds and People, Mark Cocker makes a broader point: that the story of the goldfinch in late medieval art is an indication of how our views of nature have changed. Until relatively recently most people ‘genuinely thought birds existed to fulfil very specific human ends’. He quotes one 18th century author as asserting: ‘Singing birds were undoubtedly designed by the Great Author of Nature on purpose to entertain and delight mankind’. Which, in a way, brings us back to Fabritius’s goldfinch. Cocker describes the goldfinch as ‘thrice-cursed as a cagebird’: once by its beauty, then by its pleasant song, described by one writer as ‘more expressive of the joy of living than of challenge to rivals’, and finally by its dextrous coordination of bill and feet. In order to feed off thistle heads, the goldfinch has developed the ability to hold down an object with its toes while pulling parts towards them. It was precisely these three ‘curses’ that resulted in the predicament of the bird in Fabritius’s painting. Finches like the chaffinch and goldfinch were highly valued as cagebirds for their melodious song, but goldfinches brought something more: they became popular house pets in Holland, kept in captivity attached to a chain and trained to perform the trick of drawing water from a glass placed below the perch by lowering a thimble-sized cup into the glass. and its nightcap blackens with rage. the perch and little plank are slanderous. So zestfully canst thou sing? With God’s consent, on thee! So zestfully thou canst sing! Who hath charity? This bird. Who hopeth, endureth all things? Who thinketh no evil, but sings? Who is divine? This bird. Hardy – who was an antivivisectionist and founder-member of the RSPCA – wrote the poem as a protest against the Flemish practice of Vinkensport in which finches are made to compete for the highest number of bird calls in an hour. In preparation for the contests, birds would be blinded with hot needles in order to reduce visual distractions and encourage them to sing more. In 1920, after a campaign by blind World War I veterans supported by Hardy the practice was banned. Vinkensport – considered part of traditional Flemish culture – continues today, though the birds are now kept in small wooden boxes that let air in but keep distractions out. It is the engine of her family. Or more likely, they are our poems. What we find in them we would hope for our work – that sense of soaring otherness. Maybe that’s how poets think of birds: as poems. Thanks, Andy. May a charm of goldfinches delight you on your way today. Always astounded by your knowledge and research, so fascinating. One thing that puzzles me is the singular nature of all the goldfinches in these representations…I don’t think I’ve ever seen one alone they always seem to fly in charms. Which probably makes it even more dubious to cage them and makes the freedom reference more poignant. I like what SA has to say about birds and poems. Well, thank you – but I hope it’s not false modesty to say that much of this is random – as I said at the start of the post, I read a review of Tartt’s new book, then looked up goldfinches in Cocker’s new book that I just happened to get for my birthday a couple of weeks earlier. Topped off with a bit of googling, that’s the genesis of this post, rather than scholarly knowledge or insights already residing in my head! Writing this down now, I must say I like the randomness! A ‘charm’ of goldfinches – you’re right, they are sociable birds, nearly always seen in groups, as are many kinds of birds (though I did see one on its own flitting along the hedge in front of us for a short while on the walk I described recently http://wp.me/poJrg-4jD) which makes their solitary confinement as cagebirds even more unsettling. filling the face of every flower. Then they drop from the sky. Is it necessary to say any more? Have you heard them singing in the wind, above the final fields? 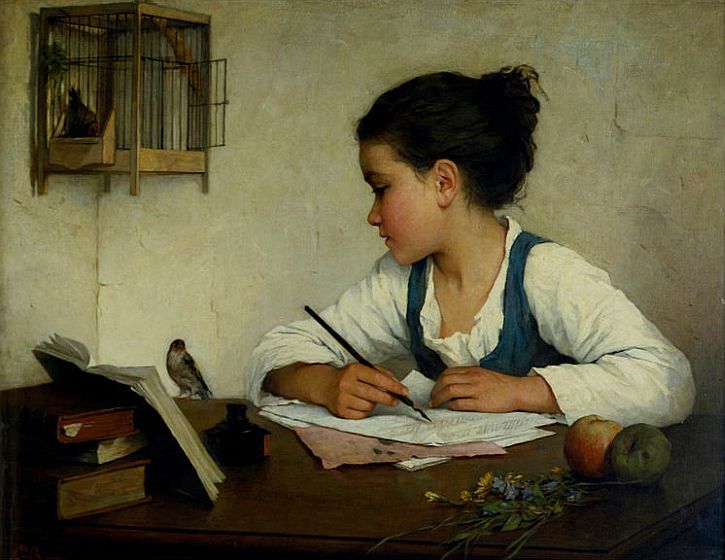 Thank you for reading and commenting, Kittie; but most of all, thanks for the Mary Oliver poem – I should have thought of her, Wild Geese is in the house, but I had forgotten ‘Goldfinches’. Thank you so much for your work on The Goldfinch. I have just finished Donna Tart’s book and had deliberately not looked for the painting until I finished it. This morning I looked for the painting via google and found your blog, I will email it to the members of our book club so they can read it before Thursday’s meeting about Tart’s book. Thank you also for the contributions to your blog above. Thanks Sally. I hope your reading group find the post informative. I haven’t read Donna Tartt’s book yet – hope to do so soon. Thanks for reading and adding your comment. What a pleasant surprise to come upon your article on The Goldfinch. I have already e-mailed it to members of our book club which will meet next week. Your research will add another fascinating dimension to our discussion. Thank you, Lonnie. I hope your group have an illuminating discussion. I have still to read Donna Tartt’s book – it’s one of the big pile awaiting discovery. I Live in the North of Scotland and LOVE goldfinches. I feed the birds all the time and have a big bird feeding station, but never have goldfinches, although Friends in the centre of Inverness,only seventeen miles a way have a great many, of these wonderful birds. 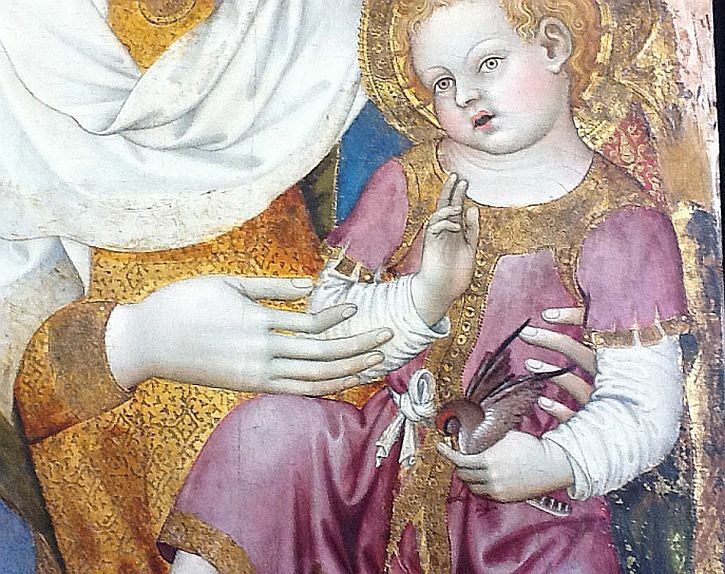 A few years ago I went to the city of Arezzo and was enchant ed to see a Madonna and Child in The civic house, which is also a gallery.On the uheld Finger of the Christ Child was a beautiful goldfinch. I still remember it. J.Gordon Macintyreyour commentary is excellent. Thanks for reading, J. I’ve never been to Arezzo (I really must one day). As I’ve mentioned in the post, there are several Maddona and Childs that feature the symbolic goldfinch. 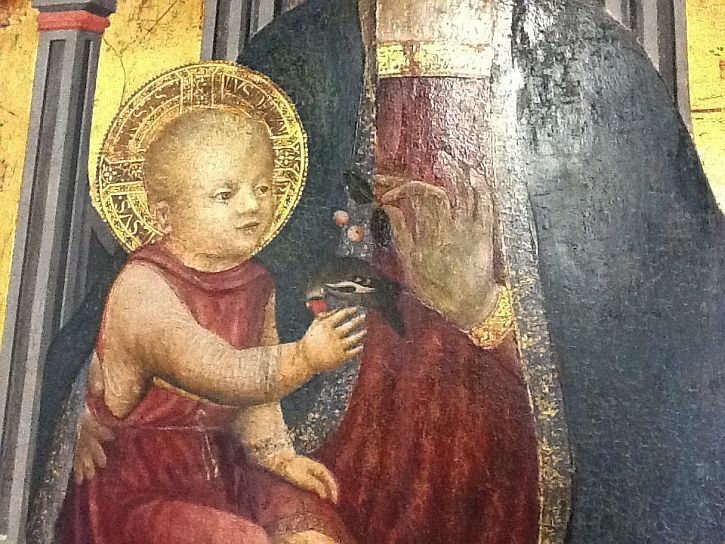 There’s one down the road from me in Manchester Art Gallery: http://www.bbc.co.uk/arts/yourpaintings/paintings/virgin-and-child-with-the-goldfinch-204814. The american goldfinch , the very first bird on my birder life list . It has maintained sentimental meaning to me ever since . In the second image you have labelled ‘Virgin & Child’ , Mary appears to be holding a butterfly in her fingers. Is this my imagination or could this be a red admiral? This was absolutely brilliant! 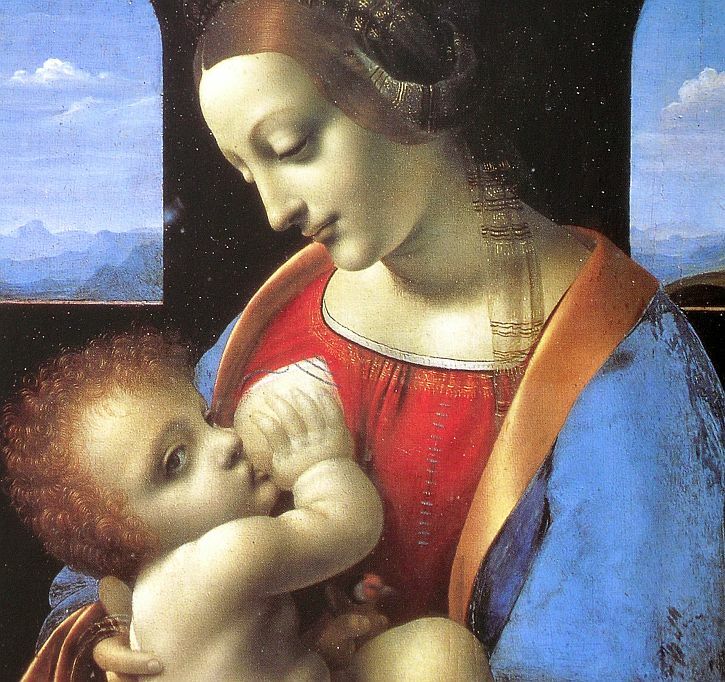 Yesterday I was in the National Gallery wondering about the goldfinch in a holy family painting in the Michelangelo/Sebastiano exhibition. It reminded me that years ago I was in Bruges and was fascinated by the symbolism that had to be behind the finch but could find nothing out. Randomly I tried the internet yesterday and your article came up. What a treasure, thank you so much! Thank you, Liz. I’m pleased you found the post useful. Right on time, few minutes after a Goldfinch appeared outside my window.